Blizzard Beach and Typhoon Lagoon are the two water parks located at the Walt Disney World Resort. Detail is Disney’s middle name and they don’t disappoint at either of these amazing water parks! The theming at both water parks is creative and unique while the water slides and attractions are thrilling. I was delighted with the water temperature; it was always “just right”. 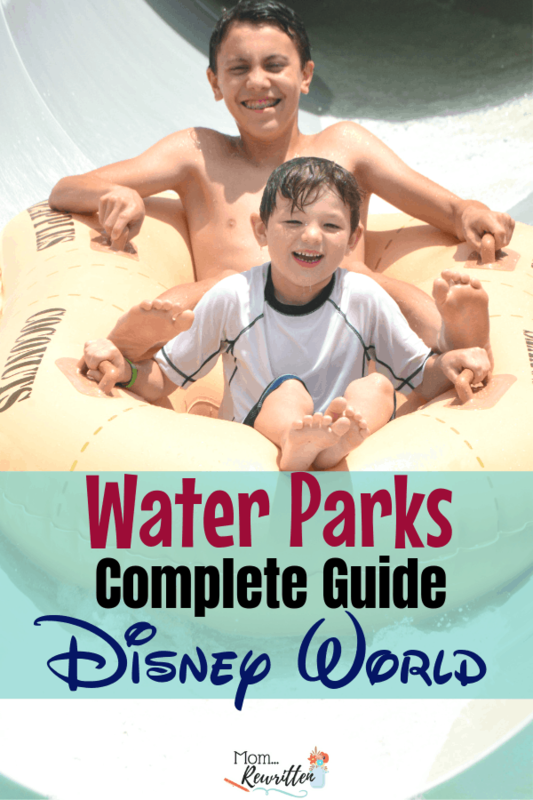 Keep reading to find out more about visiting Disney water parks with kids! I received complimentary tickets to visit the Disney water parks as a part of the TravelingMom.com annual retreat. All thoughts and opinions are my own. 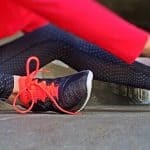 Please note that I include affiliate links in my posts. Clicking through and making a purchase helps me in a small financial way, thank you! If you have a Disney World Park Hopper with Water Park Fun and More option on your ticket, this allows entrance to Disney water parks. Think of the “More” option as a punch card. For as many days you have of park tickets, you have an equal number of punches allowed for either water parks or miniature golf. This means you could golf at Winter Summerland and visit Blizzard Beach on the same day and two “punches” would be allotted. Have a four-day Park Hopper and More ticket? 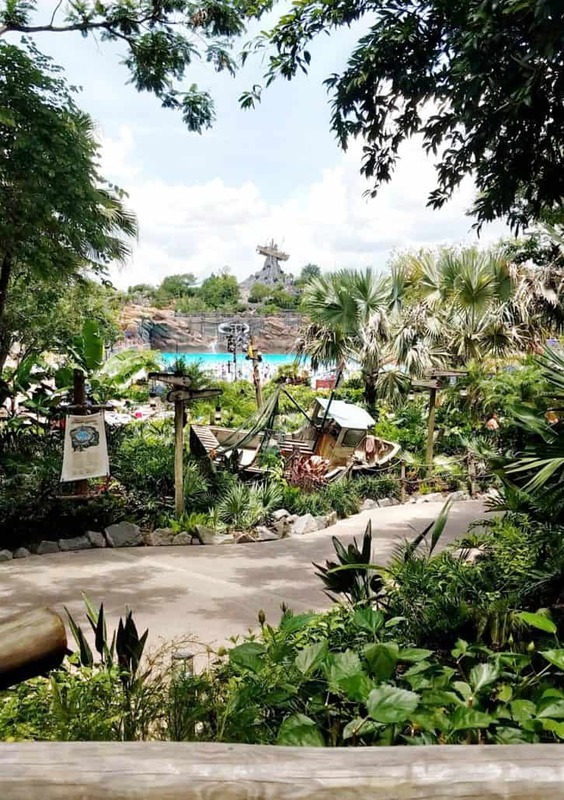 This allows you four days of “park hopping” and four additional of the “more” options (visiting Blizzard Beach, Typhoon Lagoon, Winter Summerland Mini Golf or Fantasia Gardens Golf for a total of four times). 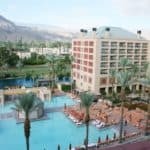 What if you only want to spend a day at the water parks? Disney water park tickets are also available separately. 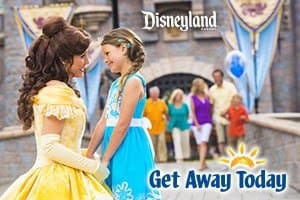 Purchase your Disney vacation packages through my affiliate at Get Away Today. 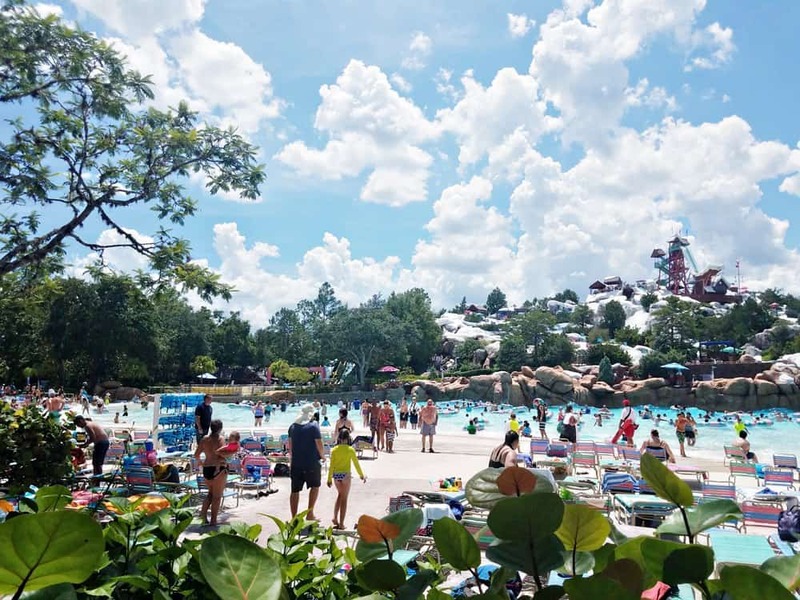 Are Disney World Water Parks Always Open? Orlando weather is almost always warm enough for swimming! So you might assume that both water parks in Florida are always open. However each of the water parks are not open year-round. Each park closes several months at a time for refurbishment. The good news is that they don’t both close at the same time! So there’s always going to be at least one of the water parks open during your visit. If there is a thunder and/or a lightning storm or if the weather is very cold, expect the water parks to close for the day. Disney water park hours vary so check the times online. Summertime events, like Disney H20 Glow Nights at Typhoon Lagoon may affect times, as well. Getting to the Disney waterparks can be a bit of a lengthy process. Guests staying at Disney property can use the bus system however it does require a transfer. If you’re visiting Blizzard Beach you’ll take the bus to Animal Kingdom park then transfer to that water park’s bus. 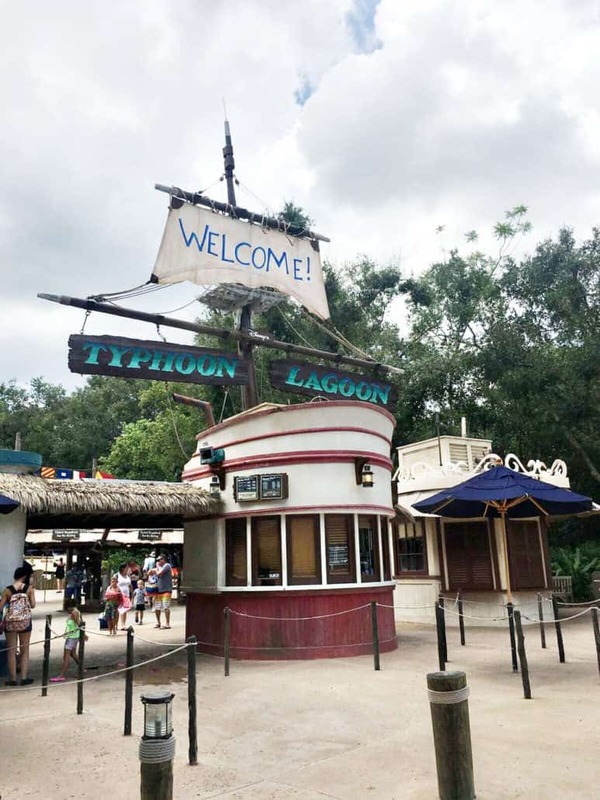 Going to Typhoon Lagoon? Take the bus to Disney Springs, then transfer. If your time is limited or you just don’t want to mess with the longer bus system, consider an Uber, Lyft or “Minnie” van if you’re traveling with kids who require a car seat (the Minnie vans have two car seats on board). My family required vehicle transportation after our morning visit to Typhoon Lagoon. We had reservations for an early dinner for the Hoop-Dee-Doo Musical Revue located at Fort Wilderness. While we could have taken the bus back to Disney Springs and then boarded at bus to Fort Wilderness we didn’t want to chance it with the time restriction. It was quicker and less hassle to call for a van. Guests may bring their own towels from home. If you are staying at a Disney resort, bring towels from the hotel. You can also “rent” a towel for $2 at the water parks. We actually did just fine without any towels at all. Sunscreen is a MUST. We lathered up on the bus ride. I’d recommend reapplying several times throughout the day. A sunscreen that can be applied to damp skin is ideal, like Neutrogena Wet Skin Kids Sunscreen Spray . I highly recommend having Water Shoes for every family member. While the Disney water parks do a good job of keeping the concrete wet in most areas, there are some sections that are directly in the sun. The ground gets extremely hot. 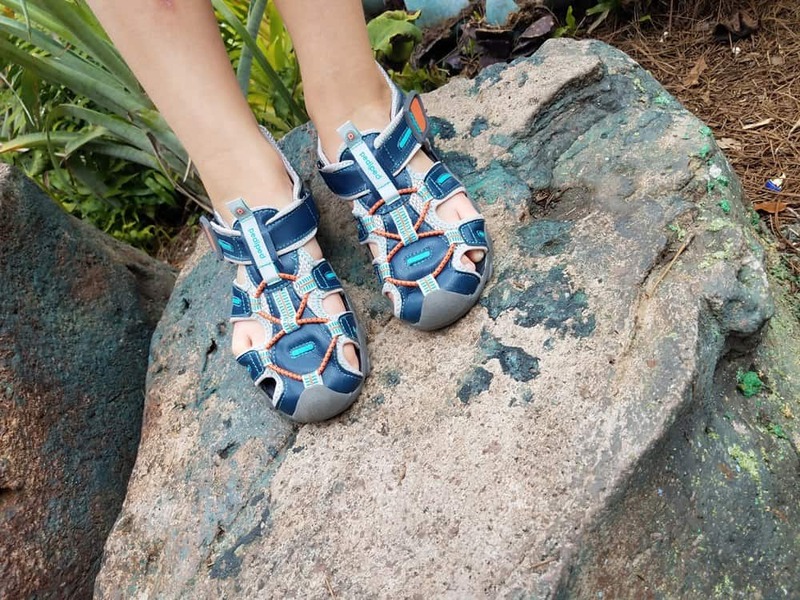 Water shoes are a safe way to keep your feet protected. 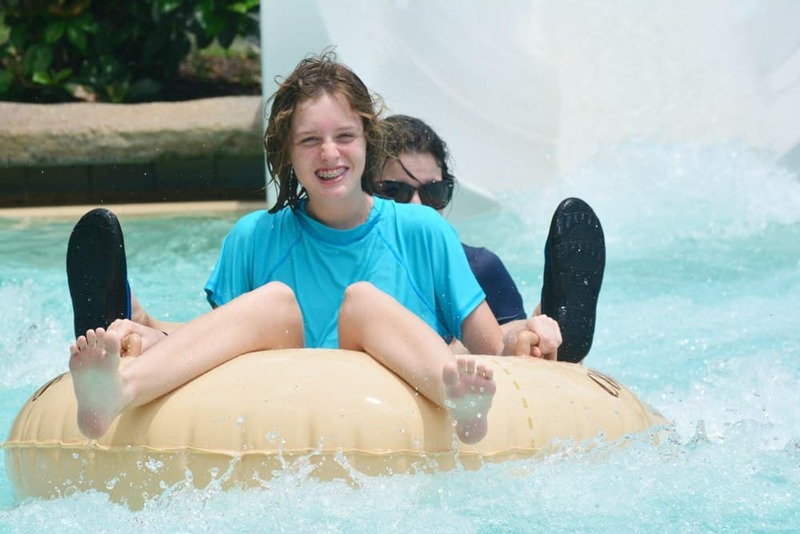 You can also wear the water shoes on most of the slides and in the pools. My younger two wore their favorite pedipeds ! Drinking water is another must-have, to stay hydrated under the hot sun. You can bring in your own full bottles (or request ice water at the restaurants). Protective gear for cells phones like the Submariner Waterproof Phone Pouch . Swim clothing that has metal zippers or rivets. No alcohol or glass. If you’re going to be purchasing souvenirs or snacks/meals at the water parks, rely on using a credit card that’s linked to your Magic Band. This will eliminate the need for you to bring your credit cards or cash into the water parks. Remove your kid’s Magic Bands once you enter the Parks and put them in a locker. My eldest son lost his Magic Band in the wave pool. Fortunately it was on the final day of our trip and he didn’t need it again, but it would have been a process to have to get him a new one. I brought sun hats with us but didn’t end up using them. If you plan on staying with toddlers in the splash pad area, a hat does come in handy because shade is minimal. But if you’re only doing the slides and wave pool, skip the hats. Take off your valuable jewelry and leave them in the hotel safe. 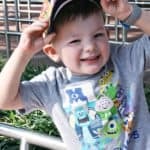 You might wonder what there is to do at the Disney water parks with babies or toddlers. 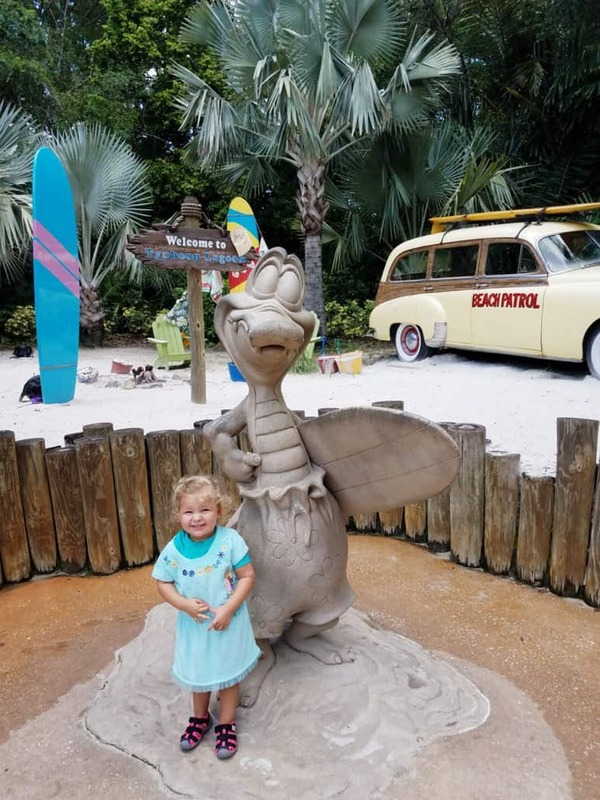 Both Typhoon Lagoon and Blizzard Beach have splash pad areas with short slides, bubbling water and small sprays for young children. These areas have a height limit of 48″. 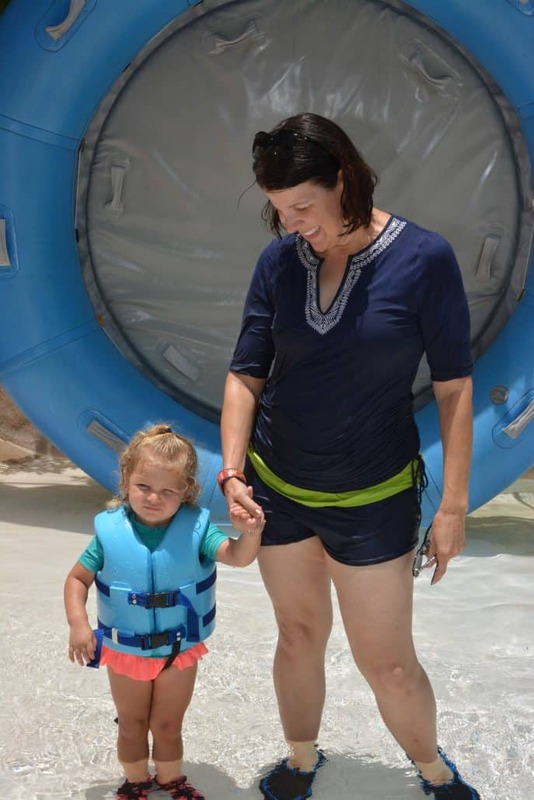 Of the two parks, my 2-year old daughter preferred Tikes Peak at Blizzard Beach. There was a shallow wading pool, small waterfall, “Ice Gator” statues and short slides. Typhoon Lagoon has a water play area as well (Ketchakiddee Creek) but my toddler was too nervous around the very loud waterfall feature to go down the slides. 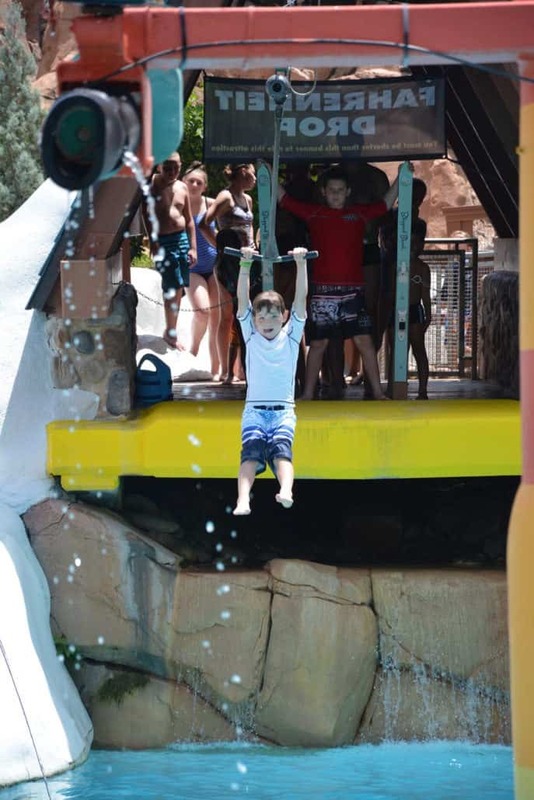 There are life jackets located all around the waterparks, for complimentary use while visiting. You can also bring in your own “floaties” if you prefer (though it’s nice not to have one more thing to carry). Swim diapers are a must-have. Bring plenty and change your child only inside the restrooms (and not on a beach chair!). If you forget the diapers, they are available for purchase at the parks. Some of the rides are “family style” but not for lap-held infants. Depending upon your toddler or youngster, you might want to skip. 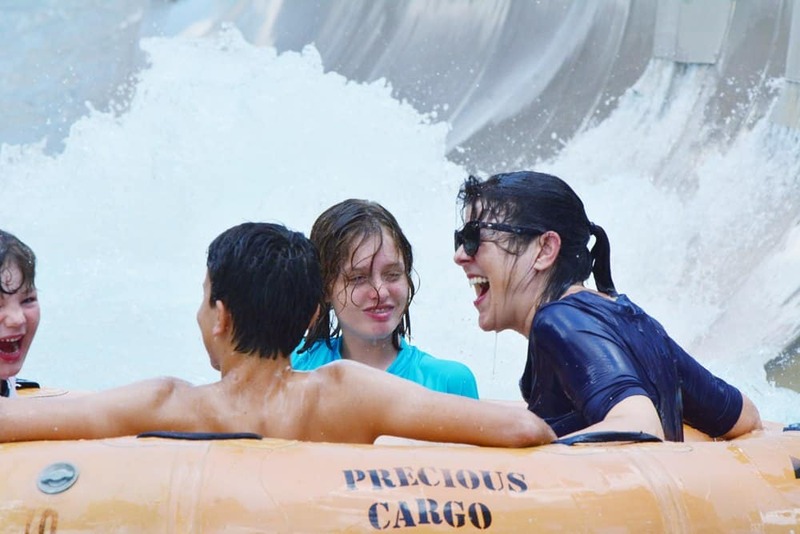 Even the family rides can be intense with overhead waterfalls and strong splashes of water. 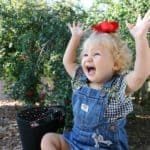 My toddler was not pleased with the downpours but she toughed it out! 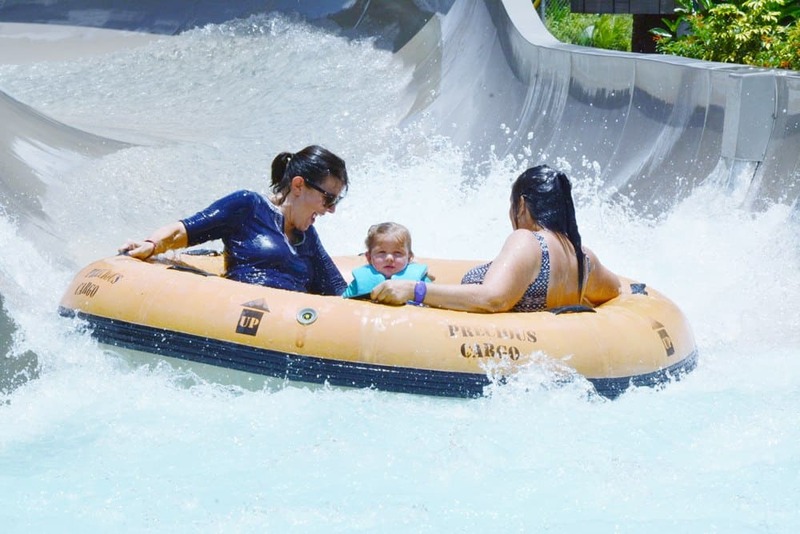 The lazy rivers at both parks are perfect for little ones too. 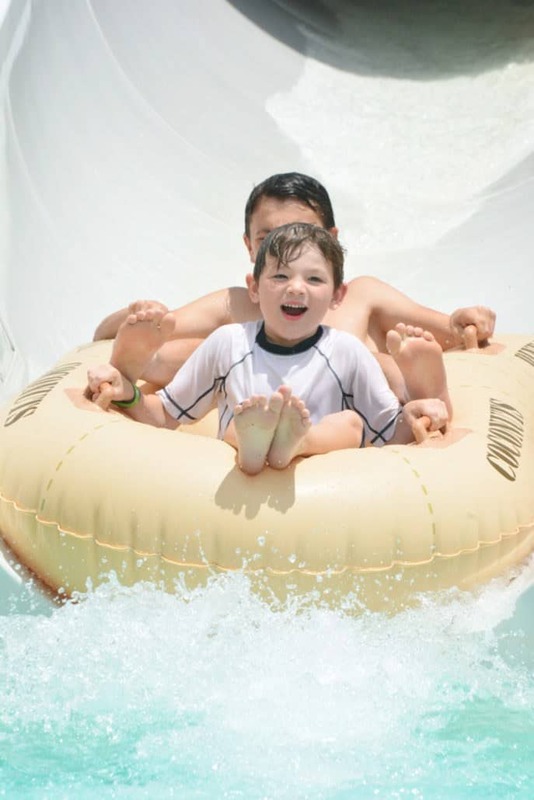 Float along next to your baby on Cross Country Creek at Blizzard Beach and Castway Creek at Typhoon Lagoon. The tubes vary, including some that offer a seat rather than a hole in the middle (perfect for the youngest kids). Be aware that there are overhead waterfalls that can be avoided (my toddler hated when her older brother pushed her float under the falls!) Bring a hat for baby as shade is limited. Typhoon Lagoon resembles a tropical paradise, albeit one that has just been through a typhoon! There’s lots of tropical landscaping, sandy beaches and several ship wrecks. We only spent a few afternoon hours here so we didn’t get to experience everything but these are our highlights. My older kids were absolutely blown away by the wave pool at Typhoon Lagoon. Even my teenagers, who are strong swimmers, had a challenge with the rough waves. If you have kids with you who may have issues with the waves, consider wearing a life jacket. Miss Adventure Falls was a great family-style ride. Some rides (like Crush ‘n’ Gusher) require you to carry your tube to the top, while others have conveyor belts that bring the tubes back up. There are some attractions with VERY long flights of stairs. If you have a youngster that has trouble with handling both the stairs and their tube, be aware you may be carrying both your tube and theirs! 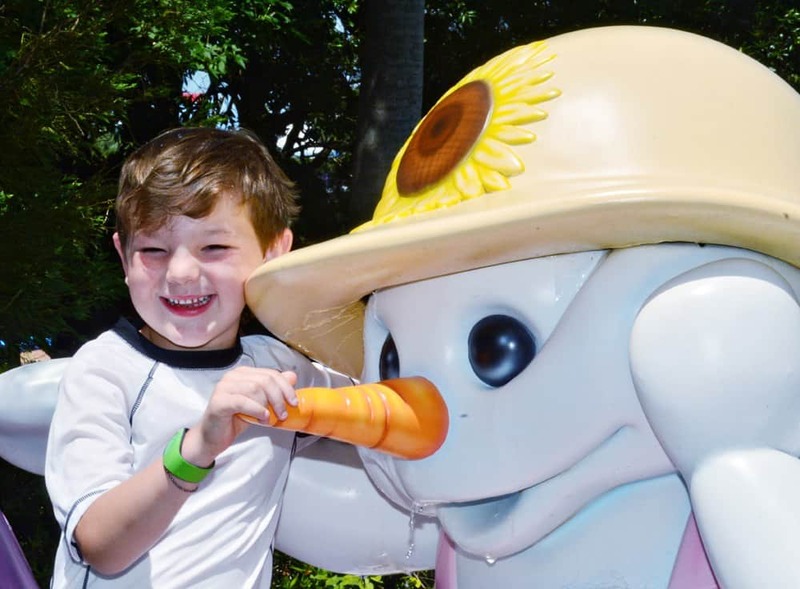 My family spent over 6 hours exploring Blizzard Beach and were able to see and do almost attraction. Blizzard Beach is styled to look like a snow storm with the water features reflective of the melted snow on a hot day in Florida! It seemed that there were more available lounge chairs in this water park and we had no issues finding seating together. 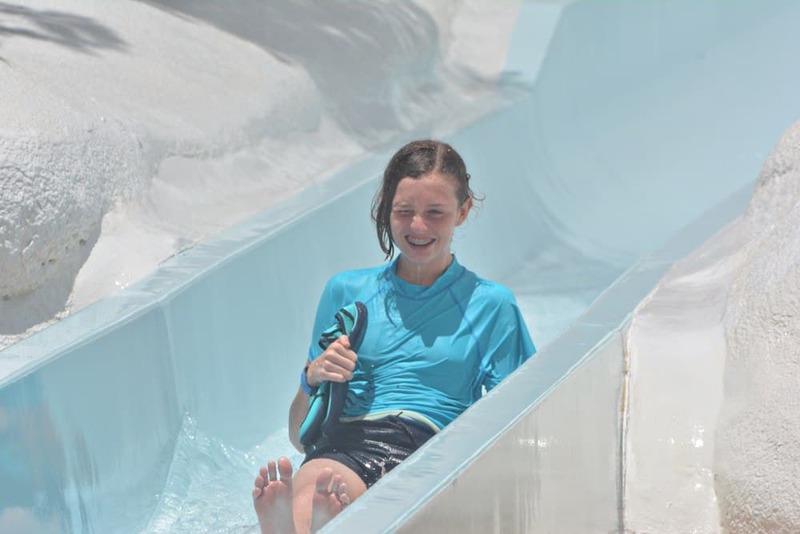 Summit Plummet is the dramatic highlight of Blizzard Beach. It’s designed to look like a ski jump but instead the riders glide down a 120-foot water plume! My big kids tried this one several times while their 6-year old brother stuck to the shorter Slush Gusher with a 90-foot drop. You’ll ride a ski-like chair lift to access these rides, as well as a few others. 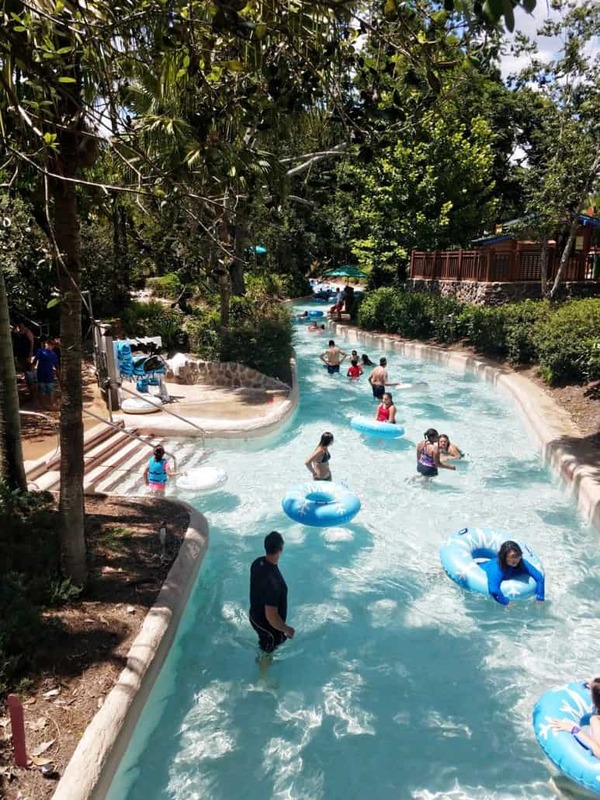 Teamboat Springs is touted as one of the longest waterpark coasters. It also had one of the longest waits for us as well, at just over an hour. We found out later that one of the conveyer belts that brings the tubes back to the top of the ride had broken down so they were running at 50%. It’s a great family raft ride though, that holds up to 6. We also had a blast on the Tobaggan Racers and Snow Stormers. Melt-Away Bay, the wave pool at Blizzard Beach is less rough than at Typhoon Lagoon. However life jackets are still recommended for less than strong swimmers. Skip It: My son and waited a loooong time to ride the Downhill Double Dipper. While fun, the ride lasted less than 7 seconds (I know, because there’s a timer keeping track of who “wins” the dual race!) Not worth the nearly hour long queue. Disney water parks only offer quick service dining and snack carts (no full service restaurants). 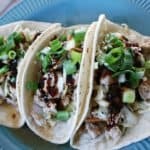 Fare includes the usual burgers and hot dogs along with other items like bbq brisket sandwiches, a loaded baked potato and wrap sandwiches. We chose not to eat any meals at the water parks, but did enjoy dessert! We ordered the Sand Pail, a combination of soft serve ice cream, whipped cream, sauces and sprinkles. It was cheaper than purchasing individual cones for each person and we had a souvenir bucket afterwards for the toddler to play with in the splash area. Other dining highlights include mini donuts at Blizzard Beach that are served with raspberry, chocolate or white chocolate sauce for dipping. Like the Disney World parks, alcoholic drinks are also available. Since most guests will keep their phones and cameras safely out of the water, you may lament not capturing the memories. 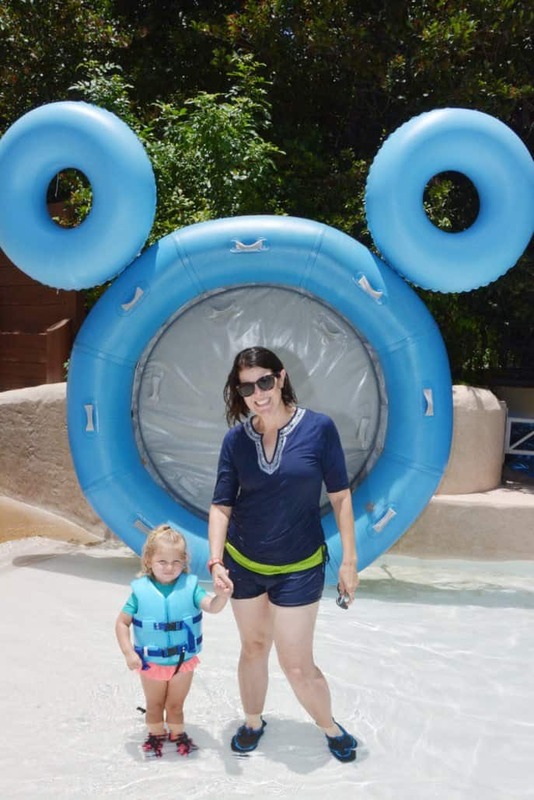 Fortunately there are many locations that offer PhotoPass services inside the Disney water parks. 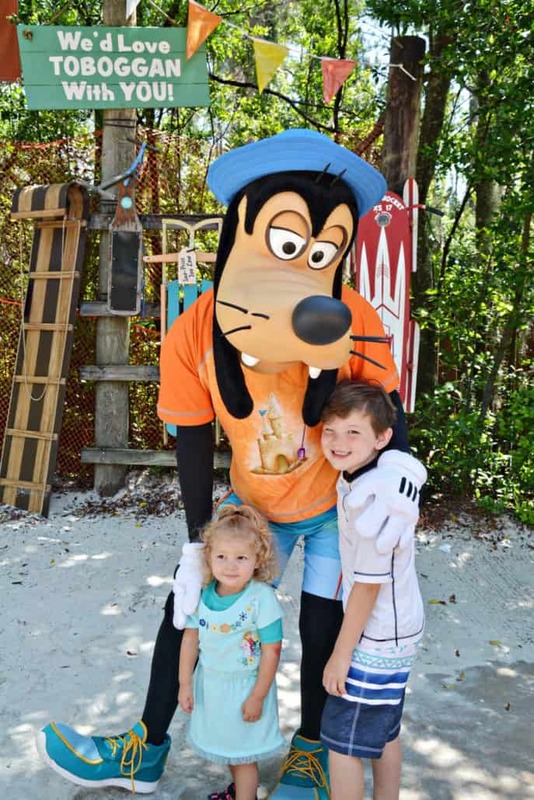 Goofy was greeting guests at Blizzard Beach and we saw Lilo at Typhoon Lagoon. There were also PhotoPass photographers stationed around the parks to snap photos. I found a photographer at the Ski Patrol Training Camp and requested that she take a shot of my son on the Fahrenheit Drop. She obliged and then scanned my Magic Band, just like inside the parks. Some of the Disney park water slides even have on-ride cameras. You’ll be given a small card with a rubber band attached. Wear the band around your wrist until you can scan the card into the My Disney Experience app to access the images. If you have purchased Memory Maker all photo downloads are included with the cost, even water park photos. I’ve noted in the caption of each photo in this post on whether it was taken by a PhotoPass photographer. 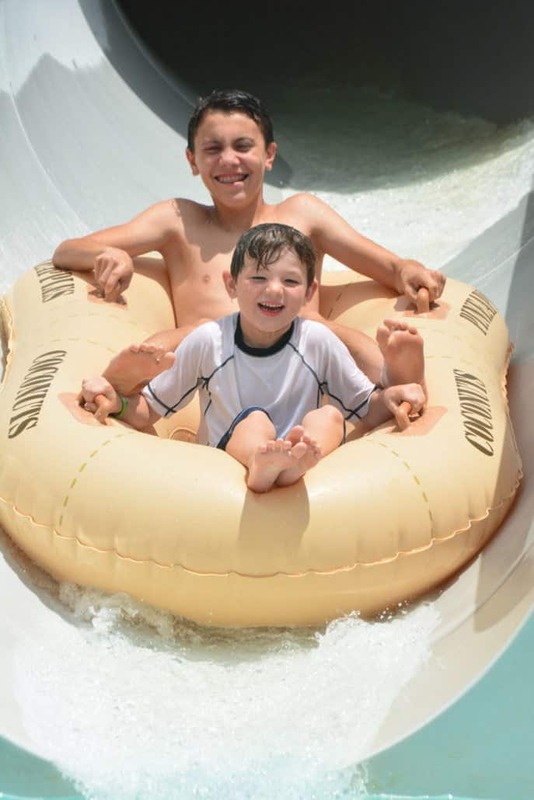 To save time, I recommend that families wear their bathing suits and a swim cover-up directly to the water parks. There are lockers where you can store bags with dry clothing until you need them. 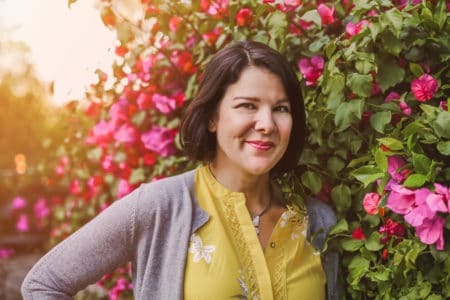 Once you’re ready to change at the end of the day, note that there are some restrooms that only have bathroom facilities and others that have changing room spaces. Having the bench inside the changing room with additional hooks on the walls is easier than changing inside of the toilet stall. There are also blow dryers inside the changing rooms if you want to dry hair. 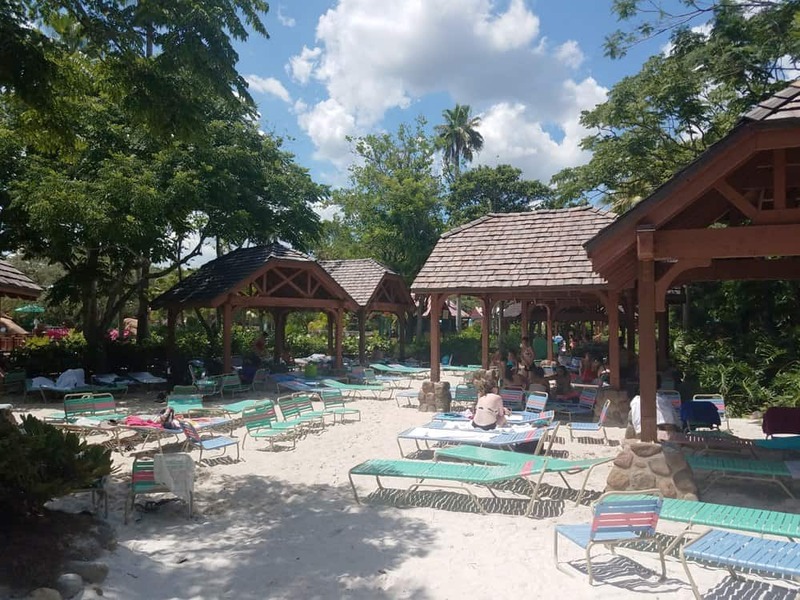 It felt like there were more available beach chairs at Blizzard Beach than at Typhoon Lagoon. Arrive early in the day or alternately, later in the evening if you want to secure a lounge chair. These water parks definitely get crowded, especially in the warmer months. Didn’t bring a swimsuit, towel or sunscreen? You can purchase everything you need for the day at the water parks. Shops are located at the front entrance of each water park. If you’re planning on spending all day at the Disney water parks, consider renting a cabana. This is an additional cost that may be worth it to your family if you want guaranteed seating for the day. It’s also particularly helpful if you have a baby or toddler who needs to nap in the shade. You can rent the cabana for a full or half day and includes a service attendant to help bring purchased food. If the cabana price tag is too steep you can also purchase a designated lounge area under the shade. This rental spot includes an umbrella, chairs, loungers, table and towels. Want more water fun? Consider splurging at Disney on surf lessons or a private surf session at Typhoon Lagoon. 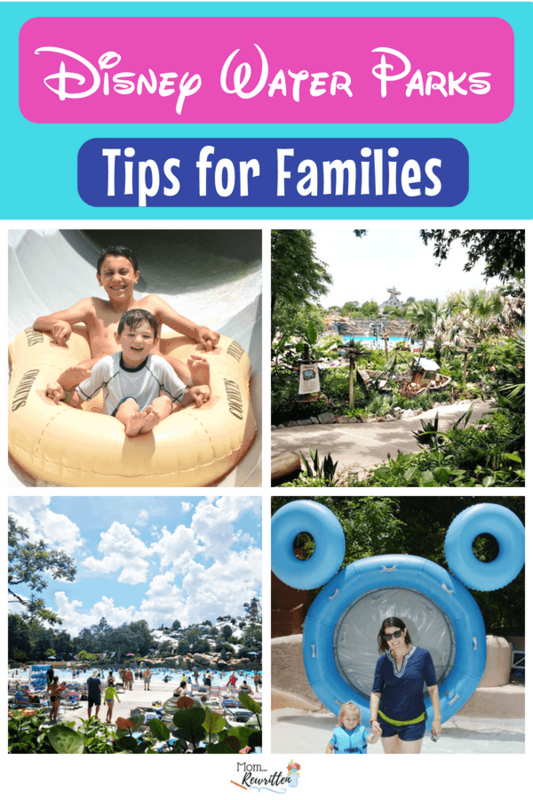 These are great tips for going to disney water parks. 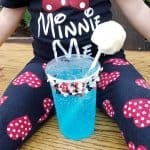 I hit the jackpot looking for Disney tips! Thank you so very much for all the effort you put into this post! !